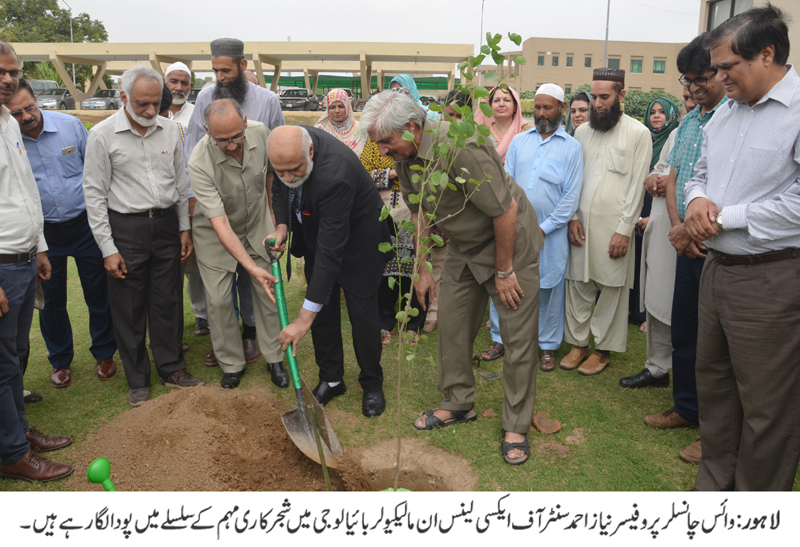 LAHORE: (Tuesday, August 7, 2018): As part of PU’s drive to plant one hundred thousand trees on its campuses, Punjab University Vice Chancellor Prof Niaz Ahmad has planted sapling at Centre of Excellence in Molecular Biology and inaugurated CEMB’s tree plantation campaign. CEMB Director Prof Dr Tayyab Hasnain and faculty members were present on the occasion. 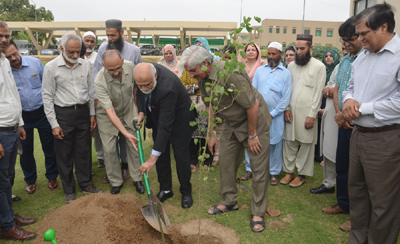 Addressing the ceremony, Prof Niaz Ahmad said that PU would contribute its role in protection of environment. He said that it was international cause to protect natural environment for our survival. He said that PU would also launch campaigns to keep environment clean.